The roughly 8 million Americans who live abroad automatically get a couple additional months each year to file their taxes. Don’t expect them to be grateful. Filing to the Internal Revenue Service from overseas is more confusing, complicated, and expensive than it is for Americans at home (and that’s saying something). Unlike almost every other country in the world, the U.S. demands its citizens pay taxes on all foreign income. They must file even if they have lived and worked abroad for decades, and even if they’re already paying hefty taxes to the countries where they reside. Now it’s getting worse. In an effort to fight tax evasion, the IRS recently began forcing expatriates to report not just their income, but additional information on savings and investments—rules that have made it harder to open bank and brokerage accounts overseas. 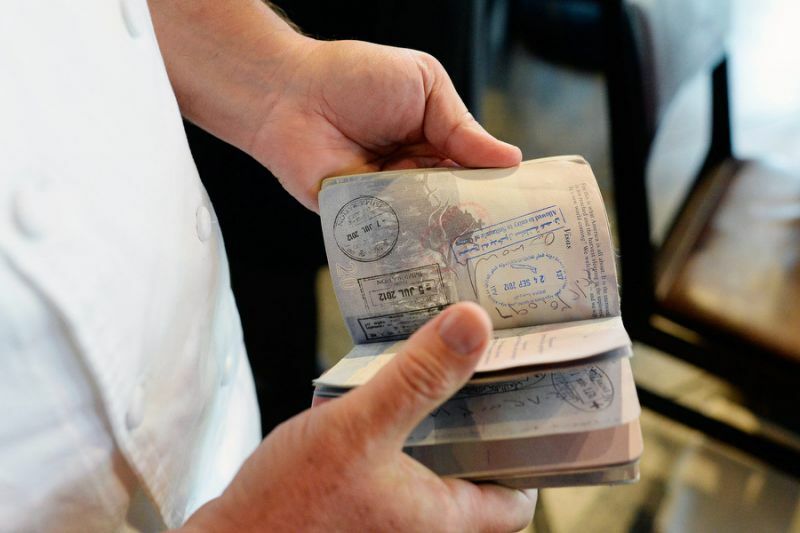 More ominously, the IRS and the State Department are also implementing a provision approved by Congress in December that could revoke the passports of Americans who owe too much–raising the prospect of being stranded abroad on account of poor arithmetic. Lynn Milburn spends months worrying about her U.S. taxes each year, even though she never owes anything in the end. To be fair, the IRS often excludes the first $100,000 in foreign earnings, along with some housing expenses. It also lets Americans deduct some of the taxes they pay to local governments, which usually levy at higher rates than the U.S. does, especially in such places as Western Europe, where most expatriate Americans live. After that, however, it’s open season. Milburn, 57, has lived overseas most of her adult life. Originally from Seattle, she recently moved from Australia to France. “Every time my situation changes, I’m not sure where I stand,” she said. Milburn said she is “petrified” of being fined; although she keeps her financial life very simple, filling out the forms correctly can be a challenge. For example, while the IRS asks about income from January to December, Australia’s tax year runs from July to June. Let the migraine begin. A typical U.S. tax return for Americans living in the U.K. is 40 to 50 pages long, even though they often end up owing nothing, according to Robyn Limmer, head of tax at Frank Hirth, an accounting firm based in New York and London that specializes in cross-Atlantic tax issues. And before you can say H&R Block, it bears noting that hiring a tax preparer who understands how to file from abroad isn’t cheap. “Many people have to pay thousands of dollars just to show they owe no money to the IRS,” said Keith Redmond, 51, an American who has lived in Paris for 16 years. How do you say “tax-deferred retirement account” in Turkish or Thai? Every country has its own way of taxing income, savings, investments, and pensions, sometimes making it impossible to explain to the IRS what’s going on. Tax treaties can help specialists navigate some of these issues, but these agreements can be enormously complicated and maddeningly vague. Limmer said that even in the U.K.—where “at least we share a common language”—accountants can disagree with each other on how to sort things out, especially in the “particularly tricky” area of pensions. IRS agents stationed at U.S. embassies used to be able to help, but budget cuts forced the agency to close the last of those offices (in London, Paris, and Frankfurt) last year. The IRS’s fight against tax evasion has had its successes. Many hidden Swiss bank accounts are no longer so secret, for example—over the last three years, 80 Swiss banks have paid $1.37 billion in penalties to the U.S. But provisions that catch millionaires hiding money overseas can also ensnare middle-income Americans working and living abroad. As a result, banks and investment companies, forced by the IRS to keep close track of their American clients, are becoming reluctant to take them on. Last month, members of Congress urged the State Department to “consider the unique circumstances of overseas Americans” before revoking anyone’s passport. An IRS spokesperson declined to comment on the passport rule or other specific taxpayer concerns. In October, the agency said its “offshore voluntary disclosure program,” a process for taxpayers to catch up on filing obligations, had collected more than $8 billion since 2009. An unknown number of Americans don’t even realize they’re U.S. citizens. Because the U.S. grants citizenship for, among other things, being born in the States, babies delivered in the U.S. to non-American parents are sometimes brought back home in diapers and learn only decades later that they need to file to the IRS every year. Johnson has previously said he would like to renounce his U.S. citizenship, and he’s not the only one. According to Treasury Department data, the number of Americans renouncing their citizenship last year jumped 25 percent, to a record 4,279. How much of this is the fault of the IRS and its get tough campaign may remain as mysterious as the tax code. Updates with Swiss bank settlements in 16th paragraph.